equipment repairs Commercial food service equipment maintenance. 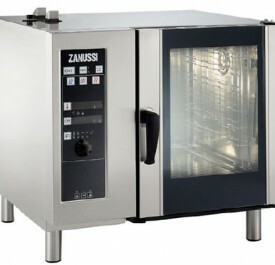 Catering equipment need repair? Catek Equipment Repairs specialises in the service, maintenance, and repair of commercial food equipment and warewashing equipment in Perth and throughout regional WA. Our fully equipped service vehicles are available for onsite repairs and maintenance in the Perth metropolitan area. We also service clients in most major centres throughout Western Australia via our extensive network of authorised service repair agents. Our technicians are fully qualified and have completed extensive factory training with many of the major brands, including: Lincoln, Blodgett, Middleby Marshall, Frymaster, and Rational. We also have over 20 years’ experience working with brands such as: Hobart, Eswood, Goldstein, Zanussi, and Woodson. At Catek Equipment Repairs, we understand that your catering equipment is vital to the successful operation of your business. That’s why we respond to all call-outs – fast! Our service vehicles are equipped with the latest diagnostic tools and a full inventory of spare parts for prompt repairs and replacements. If we don’t have the part you require in stock, we can quickly source it for you to minimise downtime. Our “One Care Maintenance” Program is ideal for businesses that rely on catering equipment. With scheduled maintenance you can maximise uptime and extend the life of your equipment. At Catek Equipment Repairs, we can tailor a preventative maintenance program to meet your individual needs. Our maintenance manager can provide advice on the most appropriate program depending on the type and age of your equipment. As a “One Care Maintenance” customer, you can rest assured your equipment is in good hands. We keep a record of your repair history and maintenance schedules, and record detailed information about your equipment (including digital images), so in the event of a call-out, we know exactly what’s required to get your equipment up and running as quickly as possible.